If you're still using Windows Media Player, you're missing out. 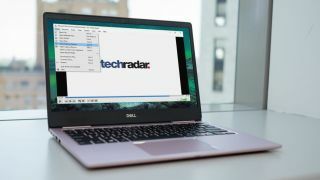 Although the venerable music and video player still runs on Windows 10, and is available to download from Microsoft (for now), it hasn't been updated since 2009 and it's only a matter of time before Microsoft ends support for it. It also lacks the features you'd expect from a modern media player, including the ability to handle 4K, 3D and 360-degree video, connection with streaming services, and support for VR headsets. With so many factors to consider, choosing a new media player is no mean feat. That's why we've rounded up the very best options available. A true stalwart of the media playing software world, VLC Media Player's reputation is unrivaled. Eschewing the fancy looks of more recent software, this is a program that focuses on getting the job done, and doing it well. Using VLC can be as simple as loading up a music or video files, or you can use it to play discs, streams and more while taking advantage of options such as subtitles, audio and video syncing, and picture and sound filters. VLC Media Player was also the first free media player to support 360-degree video. If you like the idea of personalization, there's a range of skins available or – if you're feeling adventurous – you can create your own. There's also a host of plugins for extending its already impressive functionality, but even without those extras, VLC Media Player's amazing format support, incredible playback control, and amazing performance make it is a winner. Give it a try – you won't miss Windows Media Player. Kodi is less of a media player in the traditional sense of the word, and more of a home media hub – something given away by the fact that this used to be known as XBMC (Xbox Media Center). It's available for just about every platform out there, and it's even possible to buy dedicated Kodi boxes that can be plugged straight into a TV or monitor. Kodi will play almost all local and network video and audio files, and can also stream content from the web. If you have a large video collection, Kodi will help you to organize it neatly and, unlike Windows Media Player, will download posters, movie and show information in addition to the usual metadata. Kodi functions as a PVR, supports a wide range of remote controls, and can be extended through the use of plugins. In short, it has everything you could want from a free media player. Newcomers might find the learning curve steep, but it's well worth the effort. MediaMonkey is more than just a Windows Media Player replacement – it's an advanced media management system that can take care of all of your local and network-stored music and video, while also catering for your web streaming needs. In addition to basic playback modes, there's also a jukebox option and the ability to push media to UPnP, Chromecast and DLNA devices. If you're not very good at keeping your music collection properly tagged, MediaMonkey will help you to do this automatically, and you can sync content to your phone or portable media player for entertainment on the move. The standard version of MediaMonkey is free, but there's also a Gold Edition that includes extra features like faster disc burning, advanced searching, and automatic background media organization. MediaMonkey is available as an Android app, and the desktop version can be used as a portable app so you can take it with you on a USB drive. The claim that GOM Player is "the only media player you need" may seem a little grand, it's probably not far off the mark. There's great support for a range of media formats out of the box, and if you stumble across a file that can’t be played, the player will try to track down the necessary codec for you. GOM Player supports 360-degree video, which might be a little niche, but is only going to gain popularity, and there are excellent control and tweaking options to ensure that you get the best possible entertainment experience. Pay attention while installing GOM Player because you'll be prompted to install a browser extension. Despite appearances, dismissing this option won't cancel the installation. GOM Player's interface also contains some ads. These aren't obstructive, but if they bother you, consider one of the other Windows Media Player alternatives here. Media Player Classic Home Cinema is so called because it is based on the look of the original Media Player software that was bundled with Windows, but it's evolved far beyond its humble beginnings. As the name implies, the focus here is on video, but it also handles music very well. With a massive range of built-in codecs, you'll be hard pressed to find a file it can't play. Media Player Classic Home Cinema also works as a TV tuner provided you have a TV card installed, and you can adjust the appearance of your chosen movie or programme as it's playing. If you're looking for software to manage your media collection, you're probably best looking elsewhere, but as a lightweight playback tool, Media Player Classic Home Cinema brilliant – and highly customizable to boot.